Momma Told Me: Better get it squeaky clean! My readers all know the story of how I ended up with a bowl cut at age 8, after Momma's insistence that I was not properly caring for my head and hair with the appropriate cleansing practices. I was, understandably, devastated, but she insisted that my hair was consistently oily because I did not shampoo properly- "Clean until it squeaks," she'd say. While the debate still rages in my family, I'm quite certain that the hair which later went on to grow thick and excessively oily (right through my greasy faced teenage years,) was a bit more of a case of hormones and ancestry than personal hygiene negligence. 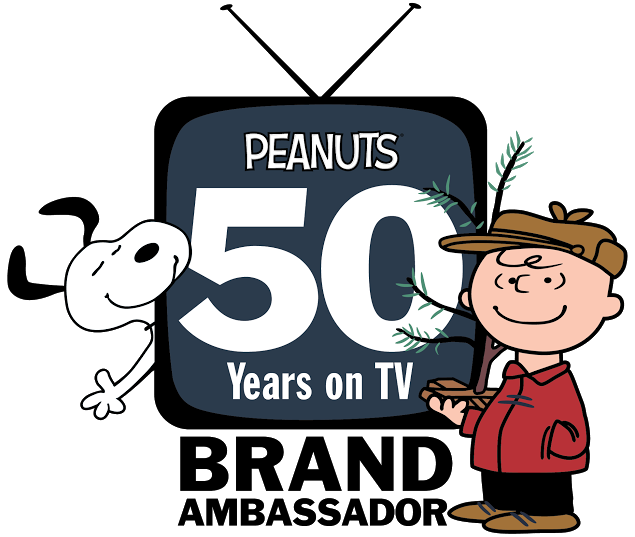 As I've aged, however I've processed my hair, and shocked it with numerous harsh styling practices. the delicate balance of natural moisture has quickly faded leaving dull hair and a dry scalp. Your hair, much like your skin (the body's largest organ) craves moisture. Daily processing treatments such as blow drying, straightening, and curling can dry out your hair causing an imbalance that results in the build up of dead skin, flakes, dandruff, and more. However, for blow drying addicts like me, stopping these daily rituals is often an unreasonable compromise. After all what fun is having a nice head of hair if you can't tease and tame it as you wish? But a healthy head is one with a delicately nourished balance of moisture created by a carefully maintained scalp. If you've noticed a buildup of volume at the roots, where your hair meets your scalp, then you jut might benefit from a few of these tips. Ever since the 'Great Hair Lightening Incident' of 2013, I've been extra cautious of what goes on my hair and my head. After all, we can absorb just about anything through our skin, and that's precisely what our scalp is covered in! So I've been slowly trying to transition my natural hair color back through the black that was the color fiasco cover-up. Half the time it looks like horrid roots, other days it works. In the mean time, I am constantly looking for natural treatments to help nourish my hair and scalp at home. When my girlfriend first 'fried' my hair I thought for sure I was going to be bald. It was bad. 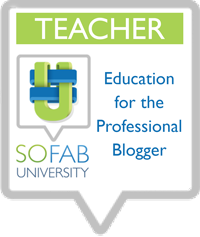 Once the dust settled, my once beautiful thick head of hair reduced to a thin clump of easily tangled, multi length strands, I was simply grateful to have any hair. Every single stylist told me to cut it off; pixie length short. Determined that that should be the last resort, I, instead, looked into natural treatments to help restore my hair's natural properties, and encourage growth. 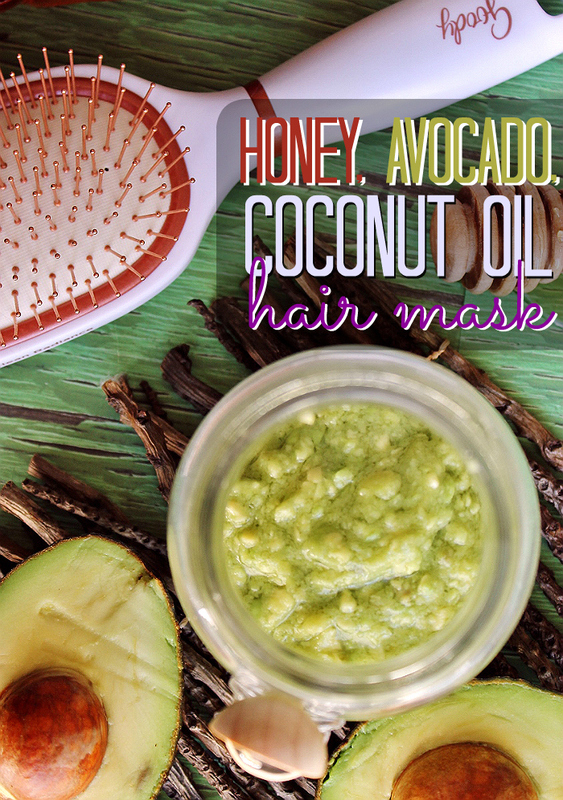 One of the things that particularly worked for me was a simple, natural, DIY Hair Masque made of honey, coconut oil, and avocado. 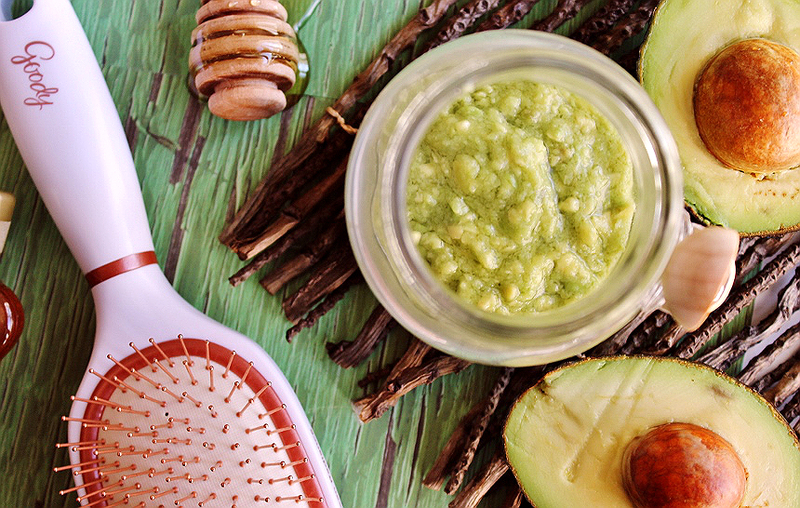 A simple paste made of these 3 ingredients (recipe and instructions at the bottom,) left on my hair for just a half an hour each week truly did help restore natural shone and moisture to my damaged hair. It even cut down on frizz! Released this Fall, Goody has also discovered a natural way to potentially unlock hair's natural radiance. Their Goody® Clean Radiance™ paddle brush is unlike any before, made with high quality deep seated copper bristles atop a padded cushion for comfort in brushing. 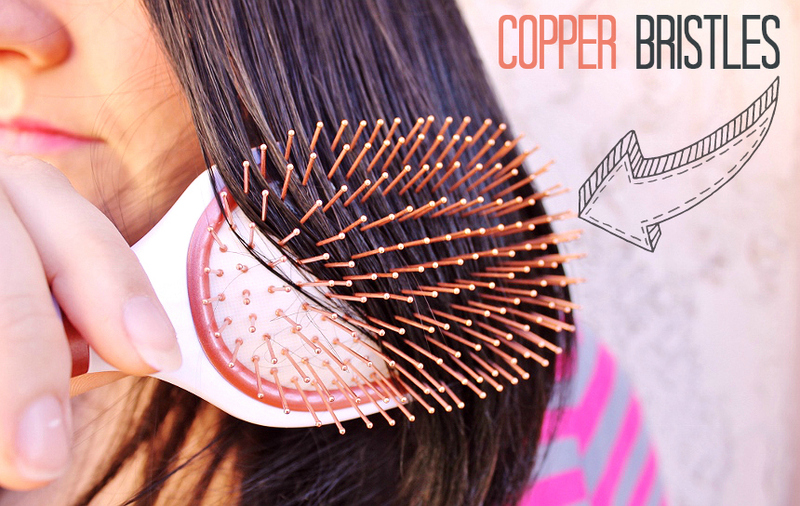 These copper bristles help reduce natural buildup on your hair and scalp over time and offer a healthier shine* (*Results based on consumer usage and perception study.) The idea is to help balance out the natural moisture balance of your unique hair for a more noticeable shine and manageability. 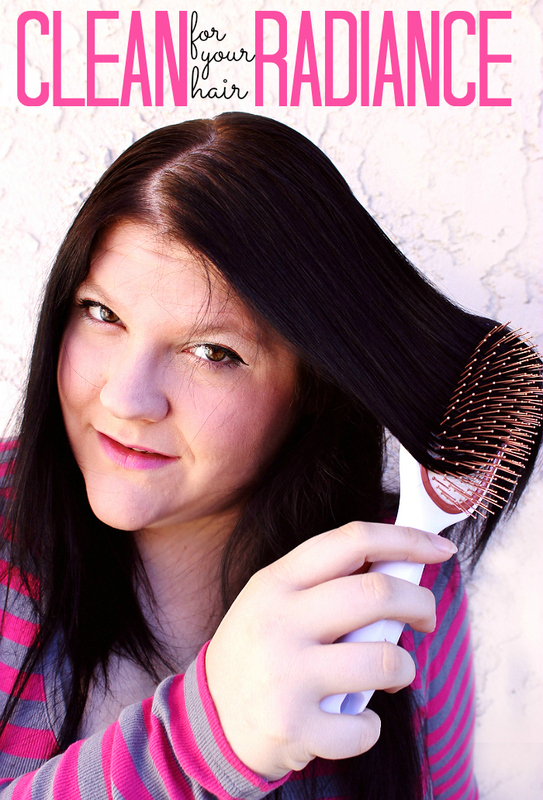 It simply cannot get any easier than using a hair brush; after all, you brush your hair every day, right? 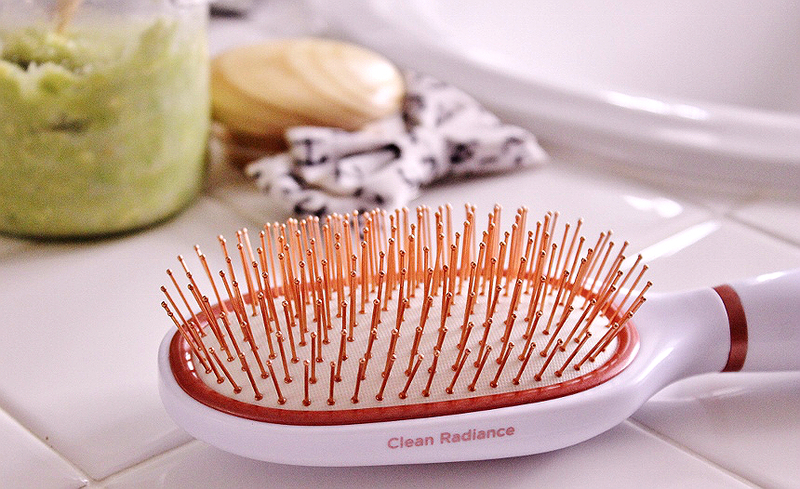 I've been using the Goody® Clean Radiance™ paddle brush for a few weeks now, twice a day on dry hair (after blow drying, do not use in conjunction with heat,) and I've noticed a big difference in manageability and natural luster. My hair looks softer to the touch, and as though I've treated with oils- when I've really done nothing more than brush ans style as usual. 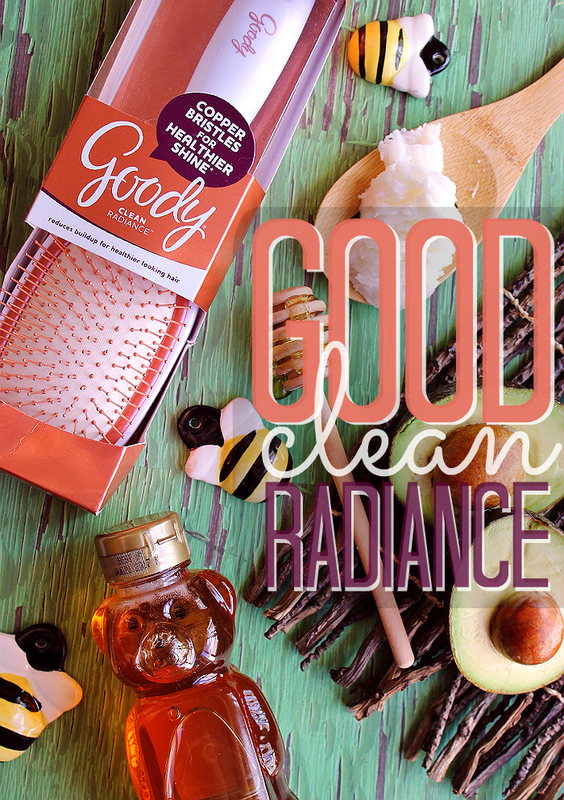 The Goody® Clean Radiance™ certainly is an intriguing development in personal beauty care, and you'll find it in store at Walmart locations nationwide. 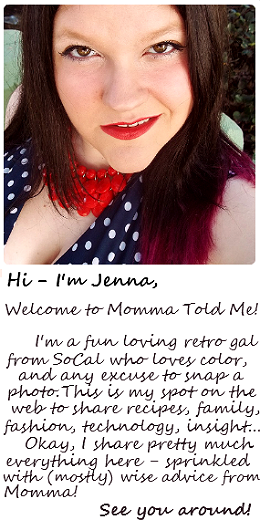 Now, tell me, what type of hair do you have, and what are some of your styling struggles? 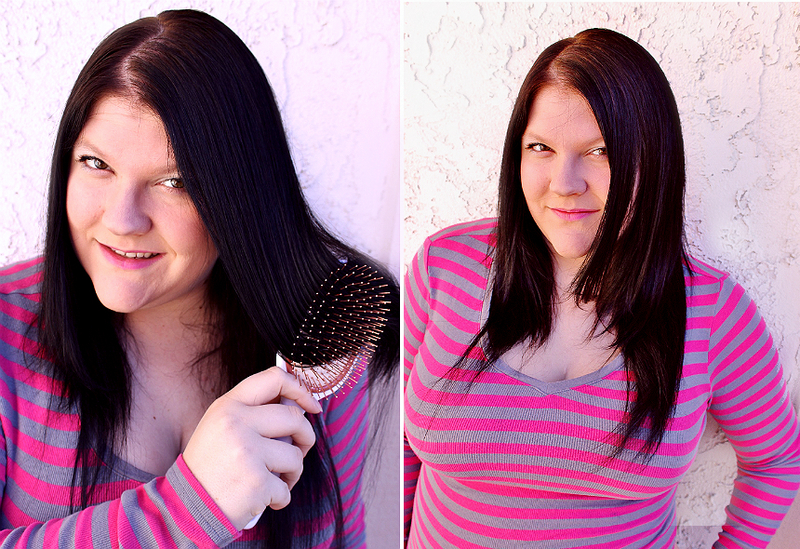 What Daughter Says: My hair doesn't squeak, but it certainly does shine like it's healthy! 1. Microwave coconut oil in a small bowl on Medium heat for 10 seconds, just to melt. 2. Grind avocado (pit and skin removed) to make a thick paste- or food process until even in texture. Some chunks are okay, it is to preference. 3. Combine all 3 ingredients in a small bowl and mix well until a masque is formed. Work generously into scalp and leave on for 30 minutes. If root to tip application is desired you will need to double the recipe. Rinse with warm water and condition as usual. Repeat weekly for an increase in shine and natural moisture. This hair mask sound lovely! I had no idea that avocado was good for our hair. That hair mask sounds great. I'll have to give it a try. I've never made my own before, but my hair definitely needs some help. I've got to make some of this. 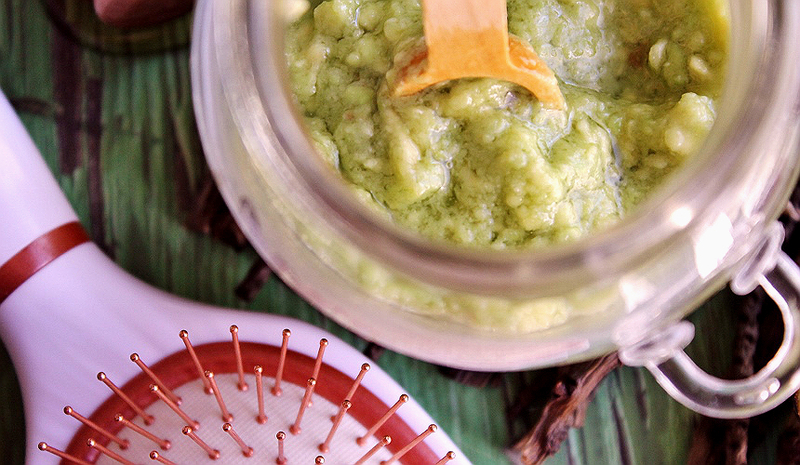 There's nothing better than a hair mask to help keep your hair looking beautiful. I get knots in my hair SO easily and it could use some TLC. Your hair looks SO good I have to try this and see if it works for me. My hair was fried after my pregnancy. most people think that makes your hair amazingly beautiful right? not mine! It dried out like you wouldn't believe! I have got to try this hair mask and see if it helps get me some of my shine back! What a great idea to make your own mask. I think the avocado would make my hair so shiny. My daughter actually likes to do hair masks but I haven't tried to do one yet. I will pass this on to her and maybe we will do it together. Your hair looks awesome. Mine gets really dry and even though it's somewhat straight it can be difficult to manage. 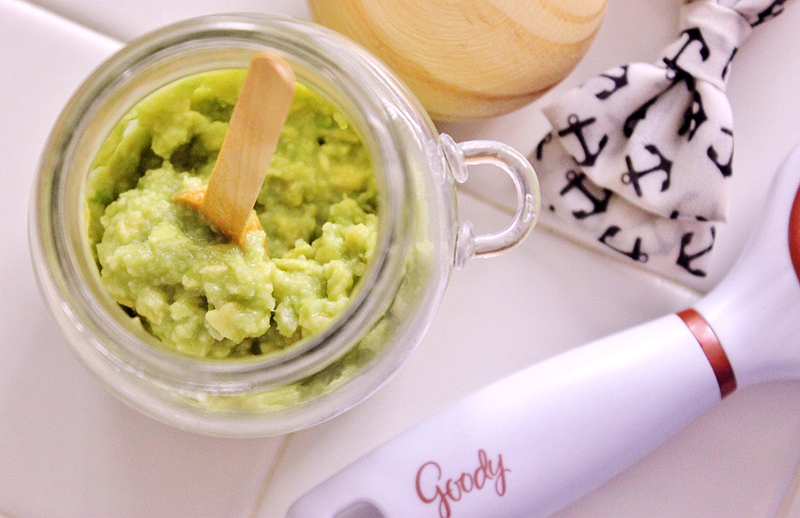 That paddle brush sounds great and so does your hair mask. Even though you're not supposed to wash your hair every day, I almost have to. 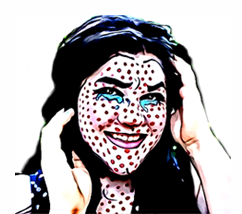 It gets so oily and dry shampoo does nothing for me. I hate how my hair looks when it's oily. It's so limp. I workout 6 days a week and have to wash my hair every day, sometimes twice. It's just as bad as over processing. With winter coming, I've been looking for ways to add some moisture back. Can't wait to try your mask recipe! I've never done a hair mask before .I have dry hair. Wonder if this would work some wonders. I used to have really dry hair when I straightened it a lot! This could have helped me a lot! This recipe sounds great. My hair has been so dry, I bet this would give it would it needs! I have thin hair and it is always going flat. In the winter, my hair gets very dry. I need to try this recipe to add some moisture back to my hair. I have the worst hair. This new brush with copper bristles sounds amazing and might be just the thing to bring my hair back to life this winter when static is in the air.